Product prices and availability are accurate as of 2019-04-19 04:01:44 BST and are subject to change. Any price and availability information displayed on http://www.amazon.com/ at the time of purchase will apply to the purchase of this product. 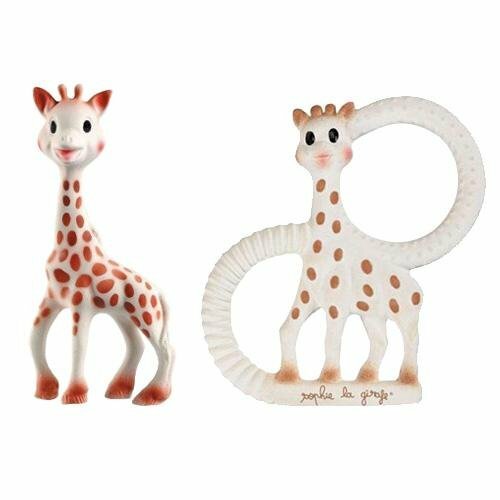 SO Pure Sophie The Giraffe Vanilla Teether, the first teething ring made of 100% natural rubber! ideal for soothing painful gums with a natural teething ring. This teething ring made of 100% natural rubber from the hevea tree helps to ease the pain of teething for your baby. 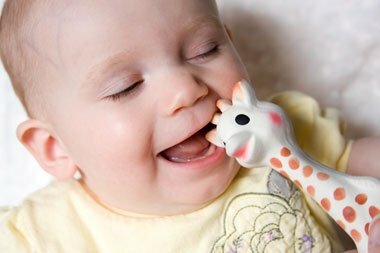 Sophie the Giraffe helps Baby to stop crying!At the age of 3 months, a baby's eyesight is still limited and he can only make out high contrasts. The Dark and contrasting attention-catching spots all over Sophie the Giraffe's body provide visual stimulation and she soon becomes a familiar and reassuring object for baby.The funny sound Sophie makes when she is squeezed helps to stimulate baby's hearing, and then later, helps him to understand the link between cause and effect.•Touch: Touch is the first means a baby has of communicating with the outside world. Sophie the Giraffe's soft feel, like baby's mother's skin, stimulates physiological and emotional response that soothe baby and promote healthy growth and well-being.. •Smell: The singular scent of natural rubber from the Hevea tree makes Sophie the Giraffe very special and easy for your child to identify amid all his other toys. 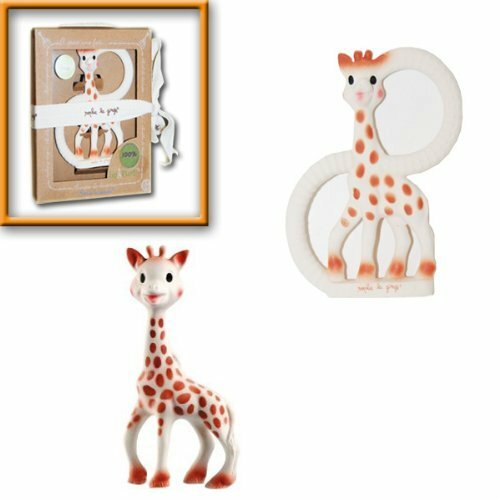 •Easy to grip: Sophie the Giraffe's shape and 18 cm (7 inches) size are perfect for baby's small hands. She is very light, and her long legs and neck are easy for baby to grip, even from his earliest days.Still the same, even after more than 46 years...She hasn't dated in the slightest..More than 30 million Sophies have been sold...She is an undisputed star for the very young...The archetypal embodiment of the early learning toy,Sophie the Giraffe is a must-have who enjoys widespread popularity and is genuinely loved by every parent and child.Sophie the Giraffe has become timeless and cross-generational..YOUR BABY NEEDS HER!